The split air conditioning has at least one unit that sits inside your room. 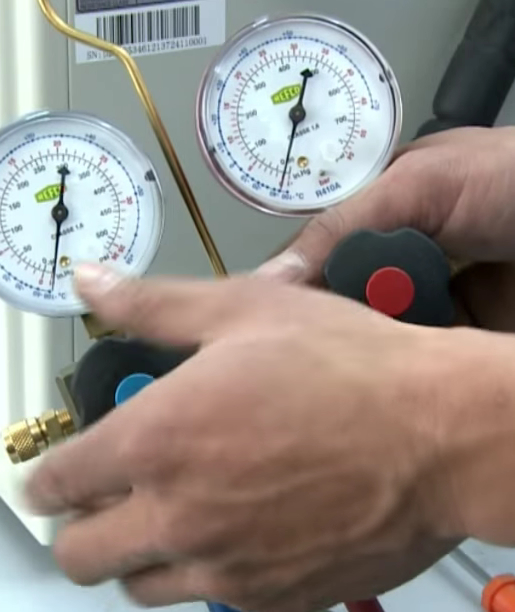 The compressor sits outside of the room, sometimes on the ground or on brackets hung to the wall. 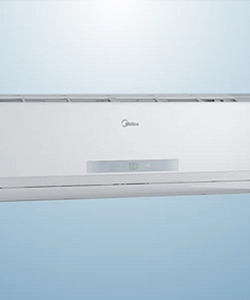 Some models come with multiple indoor units that will use one single compressor, this is known as the multi-split air conditioning system. Central air conditioning is a method of structural cooling in which a centralized unit cools and dehumidifies air before circulating it throughout a building. This is in direct contrast with systems that rely on individual units in rooms or suites of rooms. Central air, as it is also known, is often bundled with a heating system, as both rely on similar amounts of electrical power and ductwork to distribute cooled or heated air. This type of air conditioning is generally seen in large structures, or in homes in extremely hot, humid climates. Generally speaking a Split AC system is only good for small businesses and companies. These types of units are seen more in residential properties. No single temperature will appease everyone in a given space. Different people (and different genders) have bodies with competing preferences, and then those people come to work dressed for different climates. On top of that, an office is a complicated space to heat and cool to everyone's liking. People who sit near windows bake all day, while those under air-conditioning vents are blasted with icy winds. Air Condition generally comes in one of two variants - tenant controlled and building controlled. With building HVAC systems - these are sized depending on the cooling and heating peak loads of the building. A complete building automation solution gives control to management – whether you are on the grounds or off property. Automatic after-hours tenant override is a customized solution to enable tenants to remotely override preset building automation scheduling and HVAC systems via the internet or a touch-tone phone after business hours. It seems not long ago the work day began at 9:00 AM and ended at 5:00 PM. Grad- ually this shifted to 8:00 AM to 6:00 PM. For better or for worse, today’s workplace often requires dramatically different and greatly extended working hours. Some of this has been caused by a company’s need to be more productive or efficient; to do more with less people. Some of it is a result of the increasingly “flat” or “global” economy, requiring people “here” to be in the office when people “over there” are in their office. Whatever the cause, it is ever more common to drive past an office building at 7:00 PM or 11:00 PM or 5:00 AM and see the lights on and the employ- ees at their desks. When you then add to this phenomenon the combination of de- regulated utility markets and higher core energy costs, the result, for many tenants, is an increasingly unpleasant surprise in the form of a big bill from their landlord for after-hours HVAC service. Since tenants cannot readily effect market-based utility or energy rates and can- not realistically reverse this new, longer work cycle, the only lever a tenant retains some control of is the manner in which – if at all – it is required to pay its landlord for after-hours HVAC usage. However, the practice and details of how tenants are charged for after-hours HVAC service varies considerably from market to market and even from building to build- ing or landlord to landlord within a market. However, many landlords seek – if left unchecked or if their lease allows – to profit from providing after-hours HVAC service to their tenants. In order to eliminate this situation before it has a chance to begin, tenants must define the landlord’s hourly rate as what the landlord represents to be its “actual, incremental, out-of-pocket cost incurred to provide one hour of after-hours HVAC service per floor [or zone, etc. ], without mark-up or profit.” In doing so, the tenant will have positioned itself to easily verify the aggregate sum of all after-hours HVAC revenues received by a landlord were applied against the building’s operating expenses in order to elimi- nate the duplication of expense which would likely occur otherwise.